Grilled chicken wings are today’s most popular addition to menus. It is important to know how long to grill chicken wings, chicken wings temp for grilling and also recipes that are easy to prepare and taste as good as they look. To know how to grill chicken wings that are picture perfect, there are several things to consider. The grill temperature settings are usually found in the manual that accompanied your grill at the time of purchase. Chicken wing recipe instructions are equally crucial to the final result. Some grilling chefs prefer ready-made marinades and grilling sauces to homemade recipes for barbecue sauce. Which Parts of Chicken Wings Do People Always Cook? 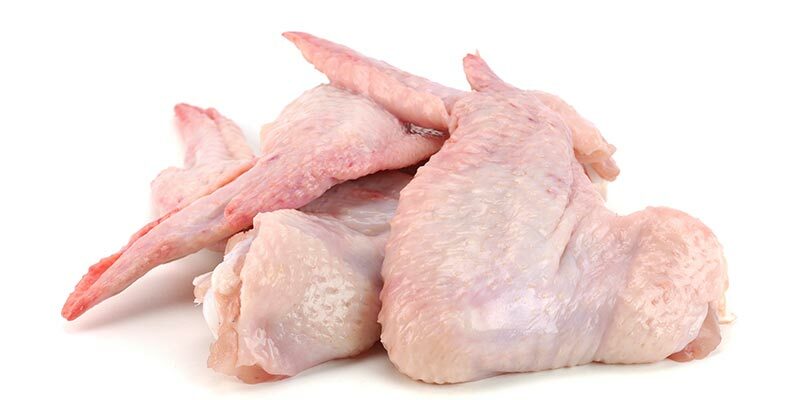 If you purchase fresh chicken wings from a butcher, chicken wing parts can be pre-sliced into two pieces, leaving wing tips to be used for creating chicken broth later. The two parts of chicken wings people cook most are drums and flats. However, wing tips are favored by some for their crispy texture after cooking. Your local butcher may also debone the drums and flats if preferred. If you purchase chicken wings from a grocer, depending on the grocer, you need to remove the wings from the whole chicken and use the remainder of the chicken for grilling, soups or roasting in the oven. This is also the best way to separate flats and drums. Use a sharp knife to cut through at the joints. Now, the chicken wings are ready for the next step: the grilling recipe. Which Part is the Best? According to popular opinion, most diners in restaurants order the flats and drums of chicken wings. If you want quantity, chicken drums or “drumettes,” as they sometimes called, are meatier. However, the wing flats hold a higher quality taste. 1/2 dozen 1-1 1/2 lbs. 20 minutes 165 degrees F. 210 degrees F.
1 dozen 2 lbs. 30 minutes 165 degrees F. 210 degrees F.
2 dozen 2-3 lbs. 40 minutes 165 degrees F. 210 degrees F.
If you use a ThermoPro TP8 digital thermometer, you can ensure your grilling temperature is accurate. The ThermoPro TP08 will monitor the grilling process, and the readout will indicate if your grill temperature is above or below your cooking temperature range. Just place the probe into chicken wings to get a readout of the temperature. For more instructions on the use of the ThermoPro TP08, visit the product page. In a small bowl, blend dry ingredients until well mixed. Set aside. Place coated chicken wings on the preheated grill and cook until the ThermoPro TP8 Wireless TP8 thermometer reading indicates the wings are fully cooked through. The ThermoPro thermometer provides convenient chicken wings cooking temp and time for grilling with no guesswork. Lovers of chicken wings also favor a dipping sauce as an accompaniment. The most popular is relatively simple to prepare. Blend until all ingredients are well incorporated. Refrigerate for at least one hour before serving. Garnish with fresh parsley when serving chicken wings. Presentation of grilled chicken wings is essential to add to eating enjoyment. Place the dipping sauce in the center of a large tray and surround with chicken wings for buffet style servings. For single servings, place four chicken wings on each plate and add a dollop of the dipping sauce. Best of all, the set up is simple and straightforward. For today’s busy cooks, this is a “must have” piece of kitchen equipment that will make the old poke and prod cooking thermometers look like dinosaurs. Cooking Temp: Preheat oven to 400 degrees F.
Blend all ingredients except the chicken wings. Place split chicken wings (flats and drums) into a large, well-oiled baking pan. Place in a preheated oven for 30 minutes and test with ThermoPro TP-08 for doneness. Remove from oven and allow to cool slightly (about 8 minutes). To serve, sprinkle with Parmesan or Romano cheese. No matter which cooking method you choose, individual chicken wing flats and drums are fairly uniform in size, and unlike certain meats, there is no shrinkage. Once you know how long to grill chicken wings, other methods like roasting, broiling, sauteing and stewing become more accessible to understand. Note that since individual flats and drums are standard in size and weight, the only other issue to be mindful of is to ensure chicken wings are fully cooked. A ThermoPro TP08 digital thermometer is ideal for this. Poultry of any kind requires impeccably clean hands for handling. Preparation time for chicken wings depends on the quantity to be cooked. These are ideal for parties where the quantity cooked may be an average of 5-10 lbs, depending on the number of servings. For most family picnics and barbecue, 2-3 lbs are usually adequate. There are many kinds of dipping sauces to serve with grilled, broiled or roasted chicken wings. A simple bowl of good quality clover honey is always appreciated. A lemon, olive and fresh, minced garlic dipping sauce is also a good compliment. Note that when baking and roasting chicken wings, a side dish of orange-cranberry sauce gives a finished flavor to the menu. This entry was posted in Recipe and tagged chicken wings recipe, chicken wings temp, how long to grill chicken wings.